Mitchell Automotive is a collection of new and used car dealerships that proudly serve the Dothan and Enterprise, Alabama areas. If you're looking for a reputable dealership that puts customer service first, you're looking for the Mitchell Automotive! 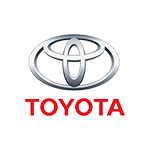 We offer stylish Hyundai, Lincoln, Mazda, Nissan and Toyota models to explore, as well as used cars from a variety of auto brands, so don't hesitate to use our website to get your car search started right now. You can input different filters to view narrowed down search results before contacting us to schedule a test drive. If you prefer a hands-on experience of our inventory, use our easy-to-navigate website to be redirected to the Mitchell Automotive dealership that specializes in the brand you're interested in and then drop by for a visit. We look forward to your arrival and the opportunity to introduce you to a sleek new Toyota Camry! With help from the Mitchell Automotive, you can apply for financing today! Our new and used dealerships work with drivers from a range of credit scores, so whether you're dealing with financial mishaps or have a perfect credit rating, we have auto loan options for you! Contact us to learn more, or use our website to get started on your credit application from the comfort of your Alabama home right now. Our finance departments are staffed with experienced professionals who are eager to help you not only secure quality loan options but improve or maintain your credit rating over time. 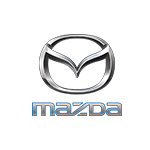 We work with many financial lenders and institutions and look forward to helping you secure the Mazda CX-9 that has caught your eye. 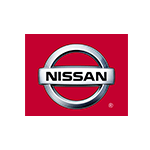 Our dealerships believe that all drivers should have access to affordably priced vehicles that cater to your on-road needs, like a stylish new Nissan Altima. That's why we offer competitive prices and impressive special offers! Explore our lease offers and incentives here on our website or visit one of our convenient locations to learn more about the offer that has captured your attention. A knowledgeable team member will happily review all the deals we have taking place and can introduce you to our finance team so that you can take that ride home today! 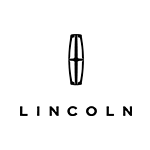 Don't let a stylish new Lincoln Continental slip through your fingers, shop our impressive inventory on-site or online now! 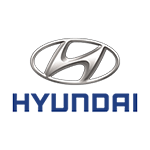 Use our website to find your nearest Mitchell Automotive dealership or drop by our Enterprise, AL location for a Hyundai Santa Fe test drive now! We offer a variety of services to take advantage of as well, so if you're in need of an oil change or tire rotation, contact one of our Mitchell Automotive service departments! Our team of auto professionals looks forward to tailoring a shopping plan that complements your unique needs, so don't hesitate to reach out to us today.